I can’t believe we’re already into the 3rd month of 2017. This year is flying by. Last year I started sharing my top 10 items that I’ve been loving for that month, that didn’t necessarily make it into their own blog post. Running a blog for almost 7 years, definitely has its perks. 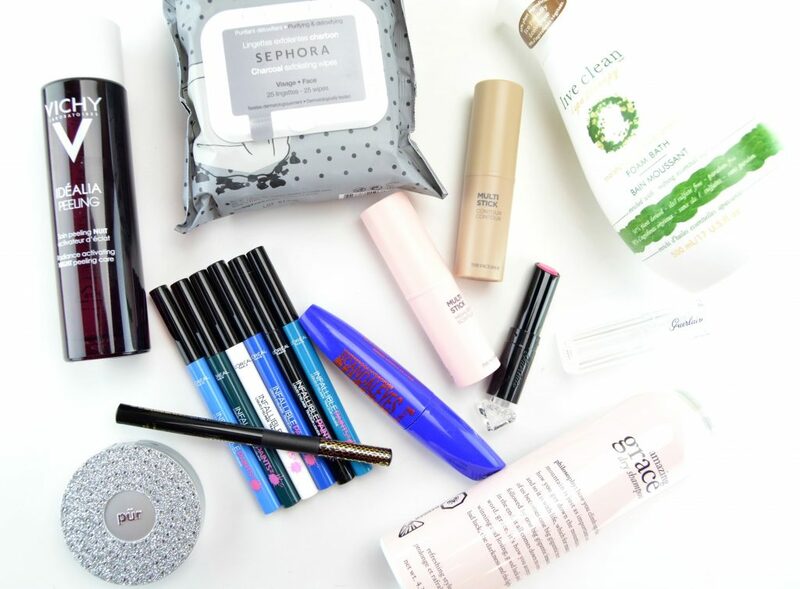 Testing out the hottest makeup trends and new skincare/ haircare products is one of them. With that, comes the overwhelming feeling of featuring everything that I love on this site. Last year I cut my blog posts down by about 20% in hopes to not overwhelm my readers. That being said, I fall in love with so many new products that I still want to share with you. This is an excellent opportunity for me to share items I’ve been loving for weeks in a quick roundup. 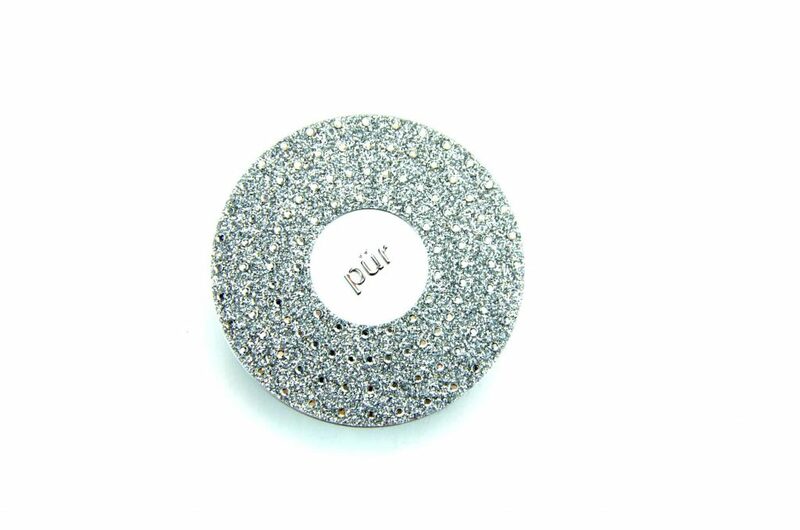 Pür 4-in-1 Pressed Mineral Powder Foundation has been a cult classic for years, but this season it comes in a bejewelled, limited edition packaging. Whether you purchase it for its statement rhinestone detail or its lightweight, no-mess, no-fuss application, this will surely be a favourite. It helps to correct, conceal and smooth complexion, while its SPF 15 formula helps protect your skin from the sun. Its mineral, weightless, silky smooth consistency glides onto the skin with ease and acts as your foundation, concealer and powder in one. 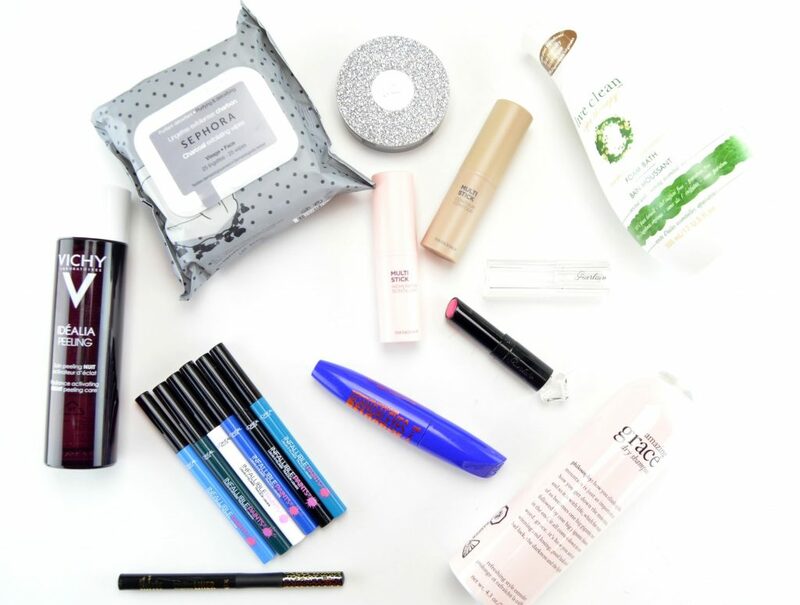 No need to reach for multiple products, which means will have you out the door sooner. It retails for $42 and comes in 3 shades exclusively at Shoppers. 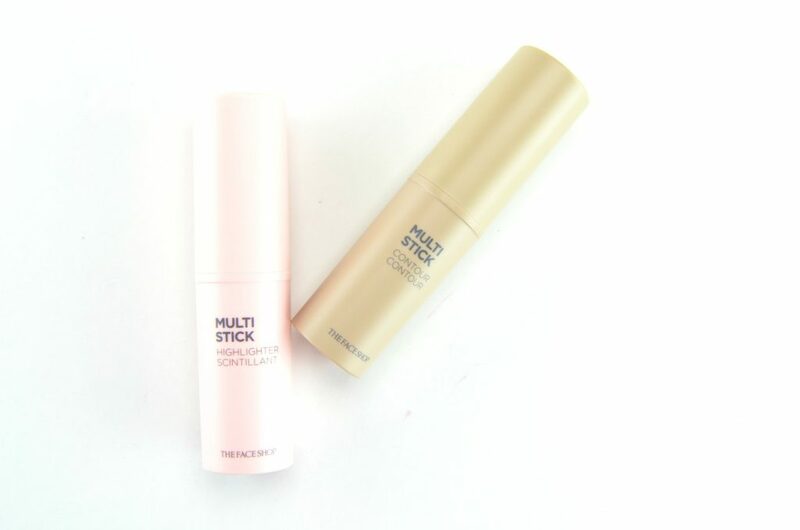 Speaking of quick and easy makeup products, the new The Face Shop Makeup Multistick allows you to create glow and contour on the go. 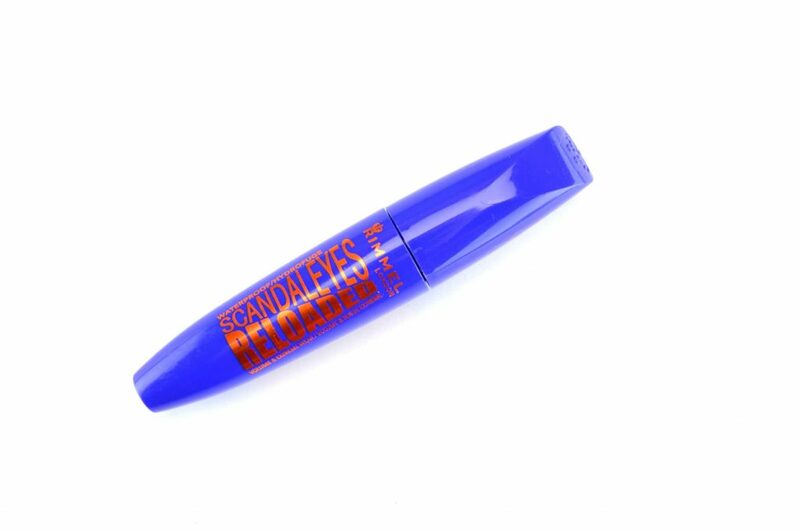 Its rich and creamy formula glides onto the skin smoothly, ensuring not to interfere or rub off your current makeup, yet leaves you looking flawless in seconds. Whether you’re looking for a smoothing, contouring or strobing effect, there’s a multistick for you. 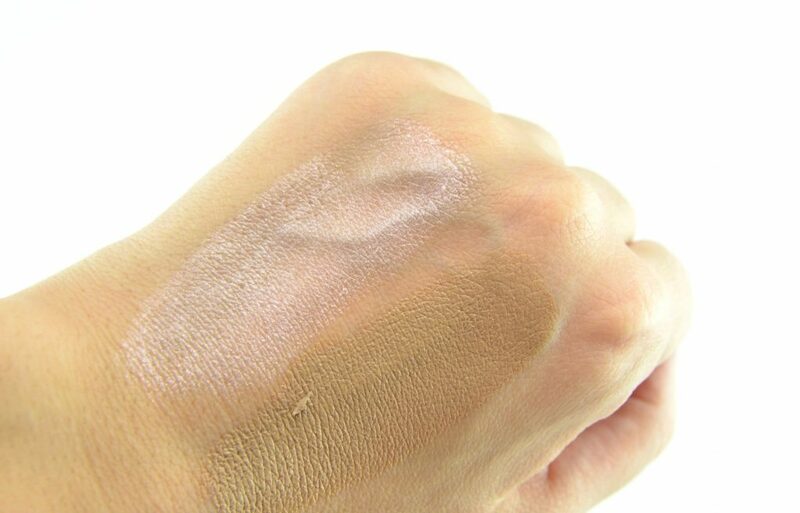 The Face Shop Makeup Multistick Highlighter shade can be used as both a glowing primer or luminous topper. 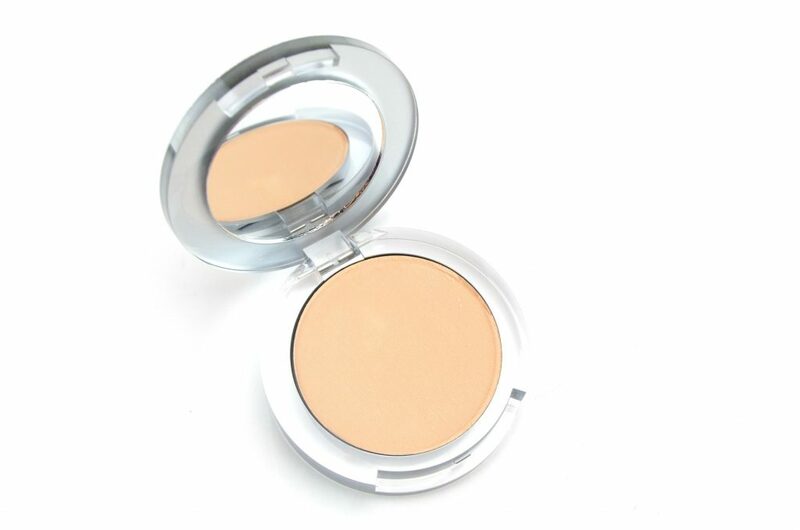 Its pearly finish helps to instantly illuminate the skin with a bright and radiant, healthy glow. 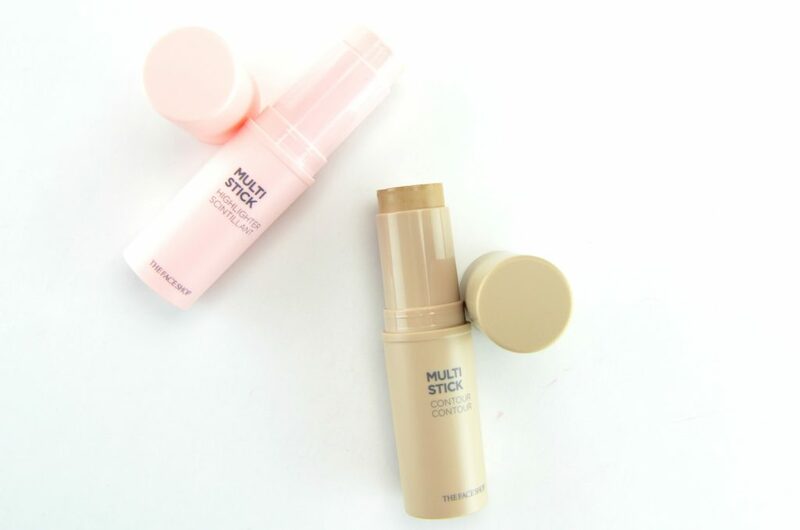 The Face Shop Makeup Multistick Pore Smoothing can be used before your makeup to help create a smooth and soft base, or mid afternoon to bring some life back into your skin. 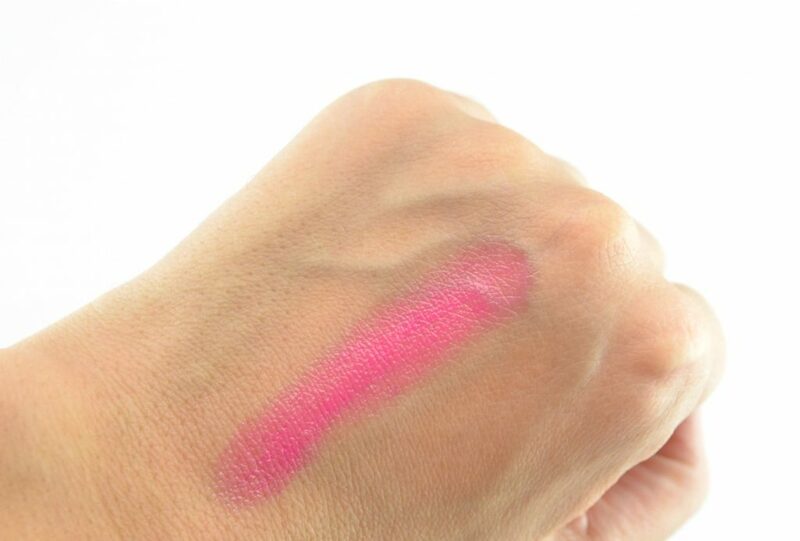 It instantly helps to blur the surface and ensure your makeup stays in place all day. The Face Shop Makeup Multistick Contour helps to instantly sculpt out your cheekbones and the contours of your face. 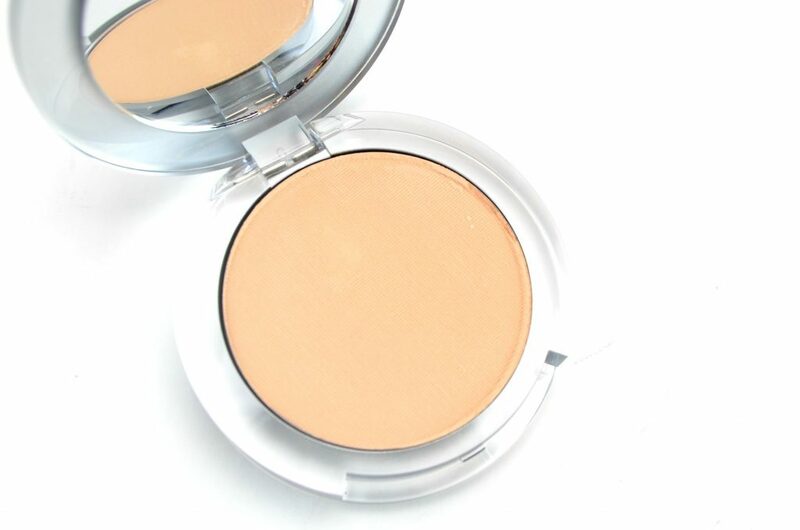 It helps to add both depth and definition to your face with its cool-tone contour shade. Each retail for $15. 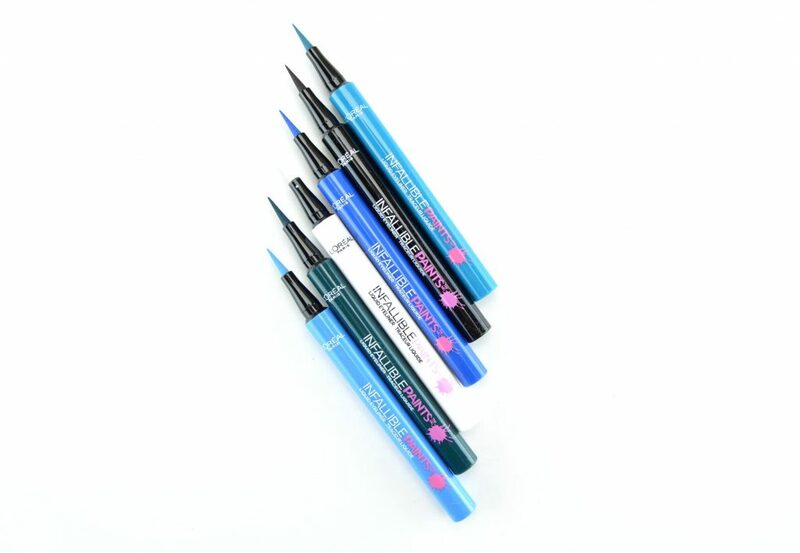 On days when you’re looking for an extra pop of colour on the eyes, reach for L’Oréal Infallible Paints Liquid Eyeliners. 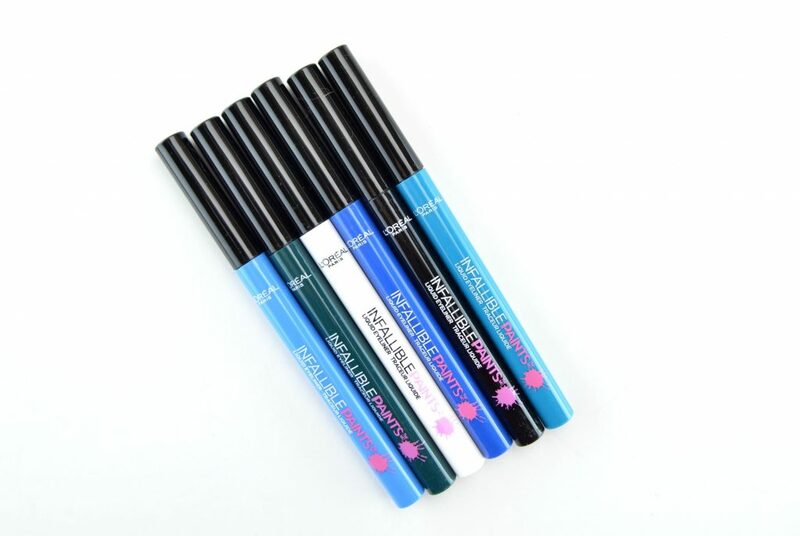 These intense, long-lasting, extremely pigmented lines feature a thin, flexible, felt tip pen applicator for easy and seamless application. 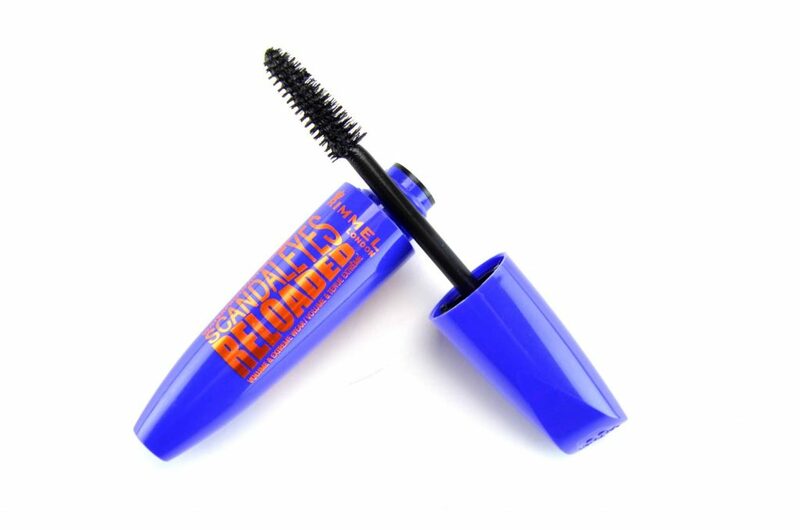 Its budge-proof, smudge-proof, long-wearing formula last throughout the entire day without cracking or flaking. 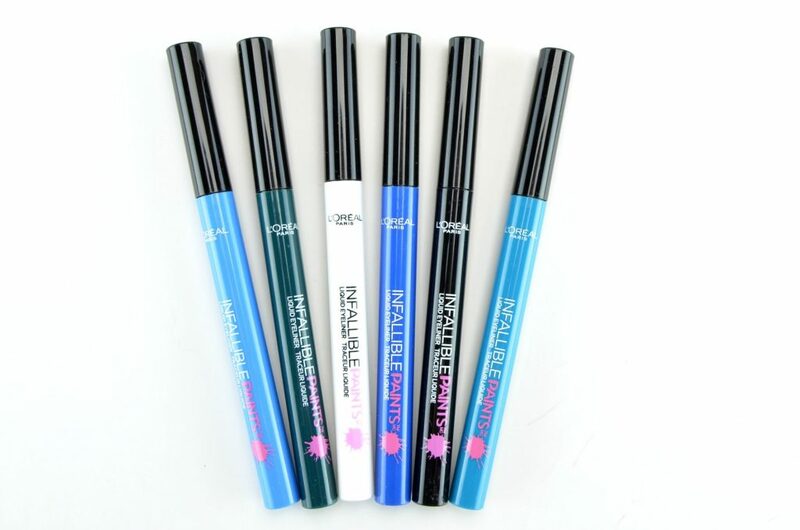 It comes in 4 beautiful blue and green shades that are a little daring, fun and colourful. These will compliment all eye shades and are an excellent way to experiment with colours without looking too over the top. It also comes with a classic black and white shade that’s perfect for everyday use. 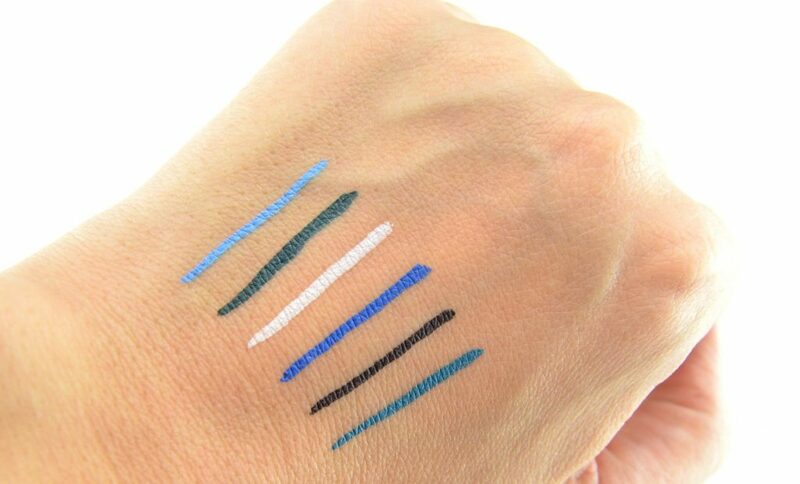 It retails for $12.99 in shades Vivid Aqua, Wild Green, Party White, Electric Blue, Black Party and Intrepid Teal. A few years ago, I had a slight obsession with tarte Lights, Camera, Lashes Precision Longwear Eyeliner, and then for some reason, I stopped using it? It’s nice to revert back to iconic staples in your collection and re-fall in love again. 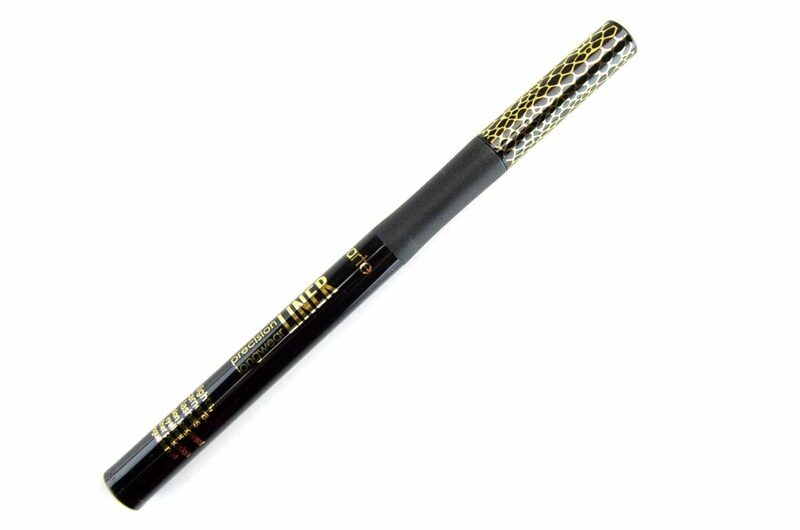 This felt tip, pen-like liner features a slightly flexible, precision tip that effortlessly glides across the lash line with ease. You are able to create a tight, crisp, clean line with a flick of the wrist. You can also seamlessly achieve a bold, dramatic look by slightly angling the tip to its flatter side. 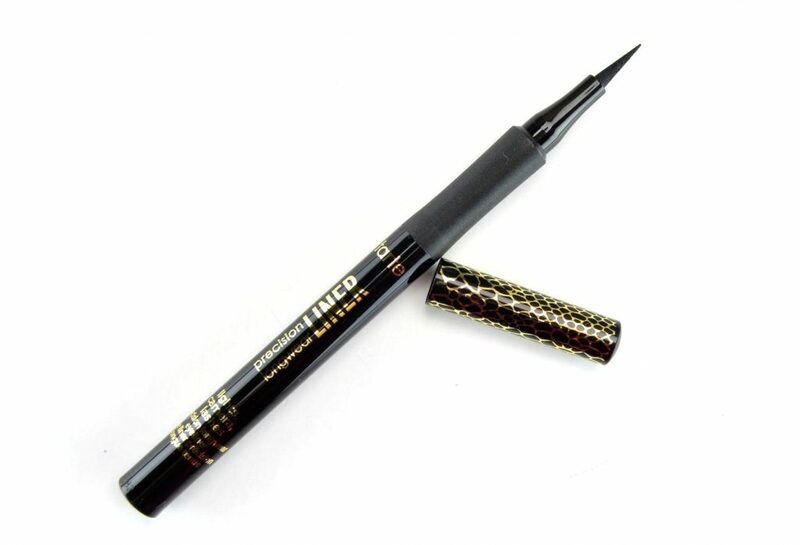 The thing that I absolutely love about this liner is that it doesn’t dry out after a few weeks. Its manages to stay intently pigmented and jet black for several months. Even with continuous use, it stays as black, bold and saturated as the day you get it. It retails for $24. 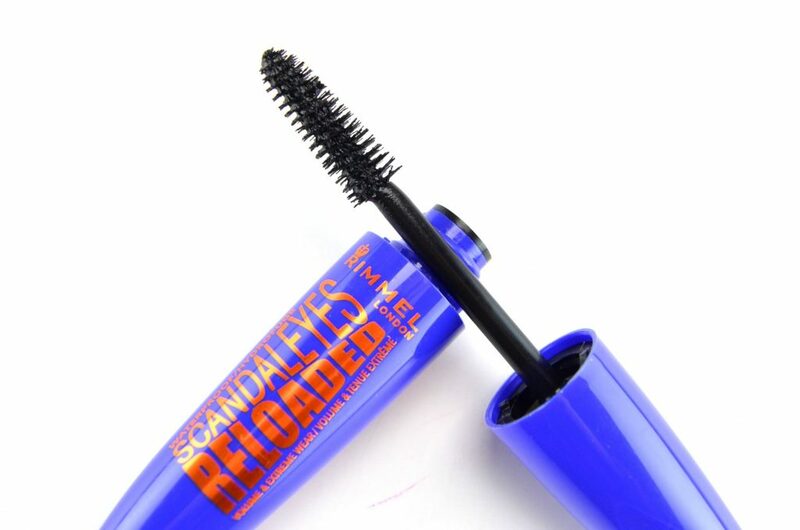 Talking about jet black, the new Rimmel Scandaleyes Reloaded Waterproof Mascara is a dangerously bold, lethally full lash in an extremely pigmented formula. You can easily coat every single lash, even those pesky corner lashes, for mega volume without the clumps. Its unique tapered tip brush paired with innovated wax and polymer formula helps to grab onto each lash, elongating and lifting at the root. Even after several coats there isn’t any clumping, just more volume and colour. A single coat is perfect for an everyday look, whereas 2 to 3 coats create mega drama and fullness. It retails for $6.99. 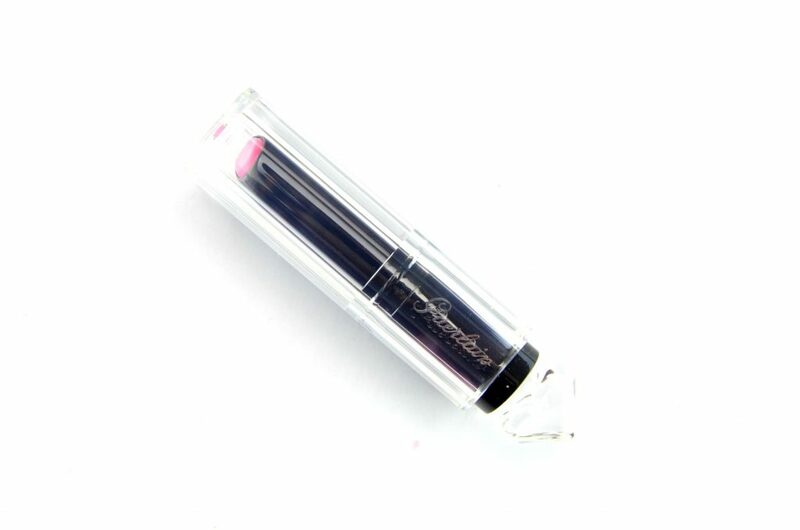 Guerlain La Petite Robe Noire Lipstick is a deliciously high shine, glossy lip colour that instantly dresses up your smile with shiny finish. 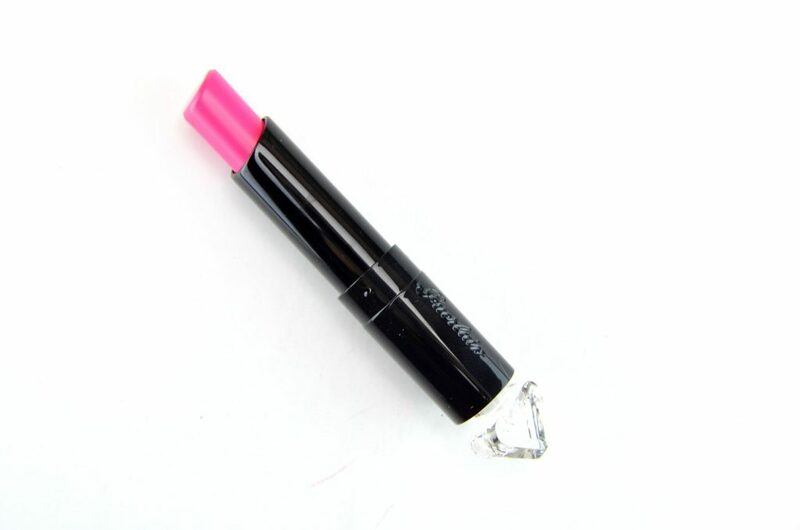 It features an incredibly lightweight, soft and smooth texture that glides across the lips like silk. Its buildable coverage allows you to create a sheer wash of colour with a single swipe or build up the intensity to a bolder, more sophisticate finish with additional layers. 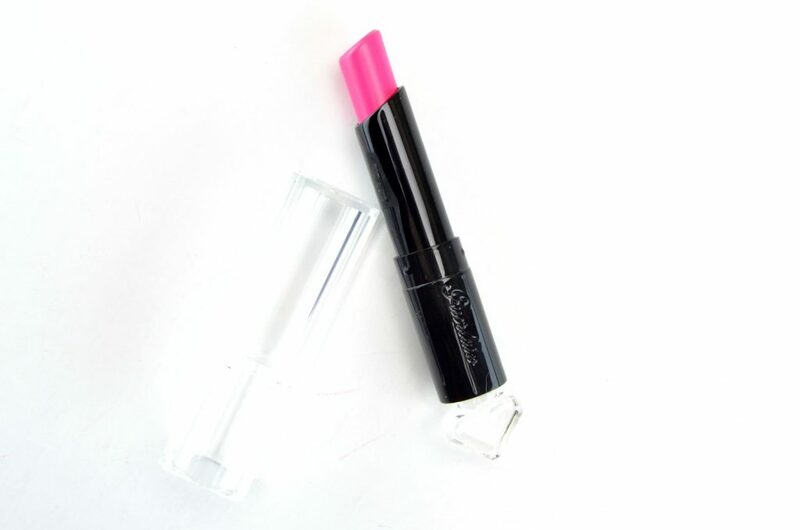 It helps to leave lips nourished, supple and comfortable throughout the entire day with a pop of colour. 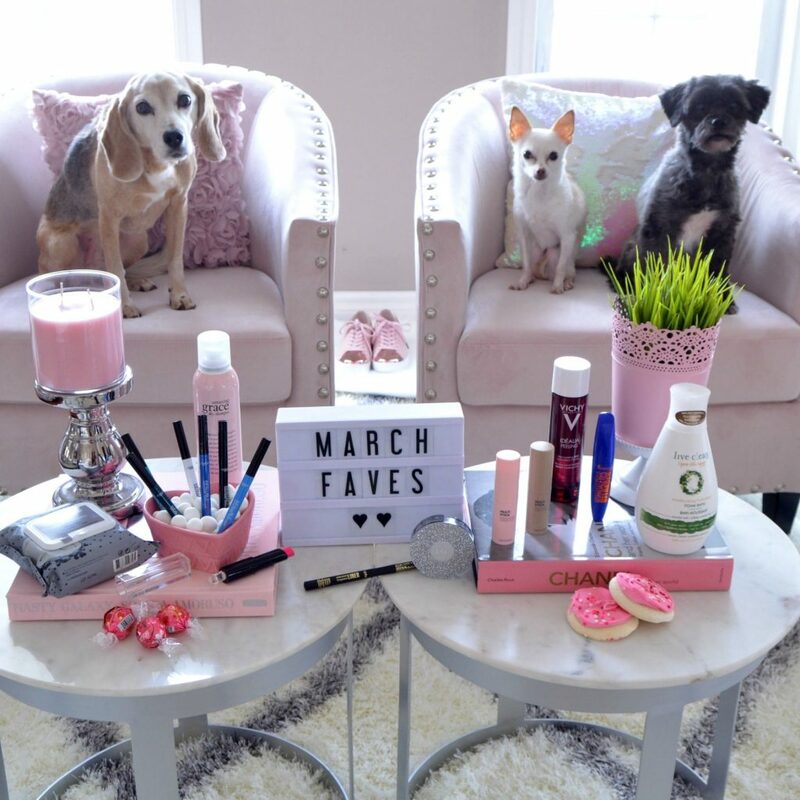 No surprise I’m crushing on Pink Tie, a bright pink with cool, blue undertones and a fine, pearly sheen. It retails for $38. Taking my makeup off at the end of the day as been incredibly easy this month. 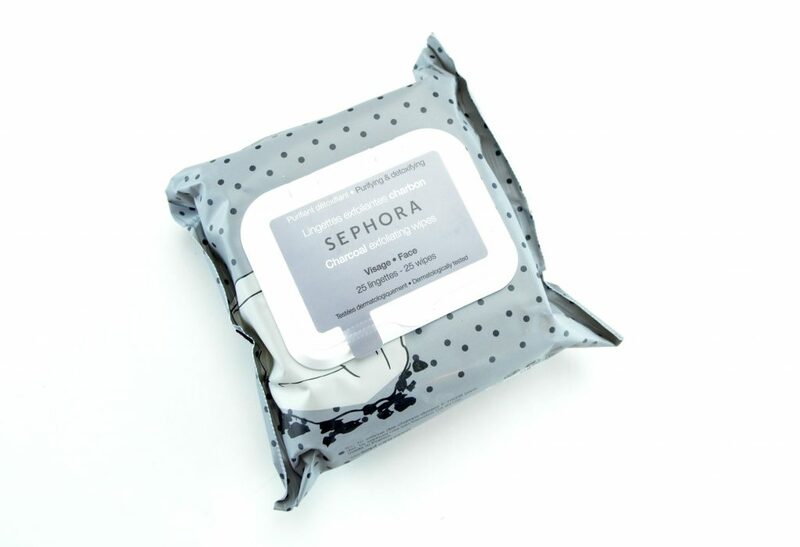 Thanks to the new Sephora Charcoal Cleansing & Exfoliating Wipes, not only does it remove all my makeup, it helps to draw out impurities and pollutants. The one side helps to gently remove dirt, oil and daily grime, whereas the other side features gentle exfoliating microbeads to help sloth off dead skin cells. It’s infused with active ingredients to target your own unique skin concerns, while helping to create a radiant glow. 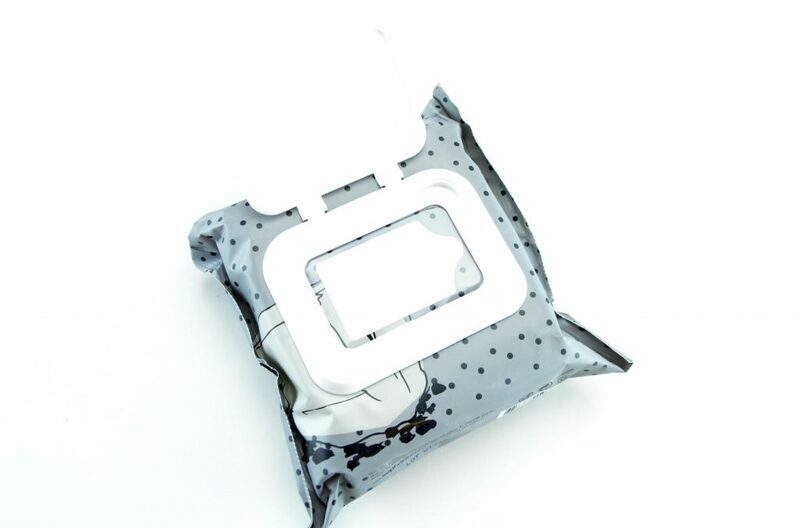 No rinsing required, making it perfect for on-the-go. It’s also perfect on late nights when you’re lazy and don’t want to fuss with an entire skincare routine. It retails for $10 for 25 wipes. I’m obsessed with any product that features glycolic acid. It’s an excellent, and safe way, to remove the outer layer of dead skin cells, revealing bright, fresh skin after a single use. 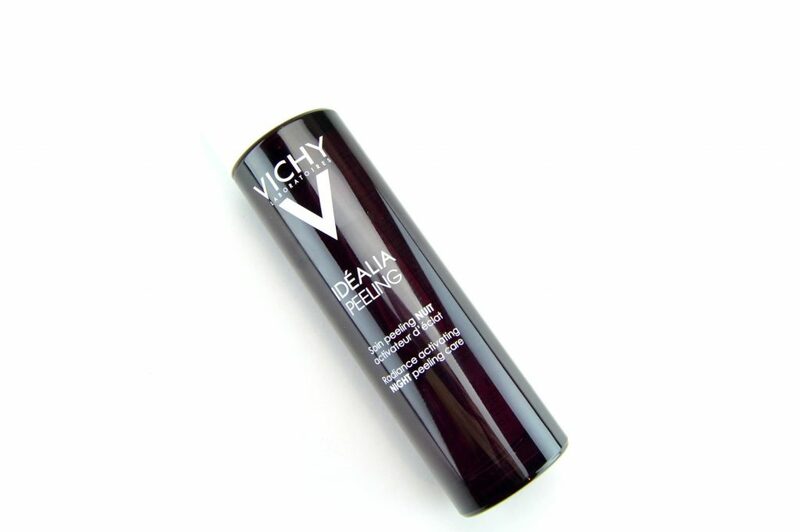 The new Vichy Idealia Night Peeling is a nightly liquid essence designed to create a more radiant complexion by morning. Simply add a few drops to a cotton pad before bed, no rinsing, and wake up to smooth, velvety soft skin. It is formulated with glycolic acid, fermented black tea and blueberry along with Vichy’s own mineralizing thermal water to help refine fine lines, wrinkles, enlarged pores and dryness. It has only been a month, buy I’m already seeing results. This peel has helped control my breakouts and evened out my complexion. Overtime it can also help with sun spots, hyperpigmentation and discolouration. It retails for $39.95. 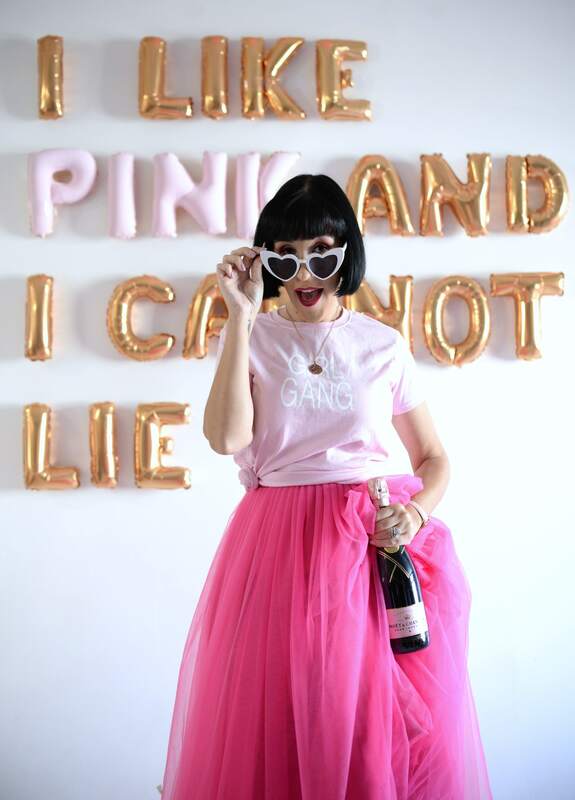 If you love the fresh, clean, beautifully feminine scent of Philosophy Amazing Grace, you’re going to be happy to hear about the newest member to the Pure Grace family. Philosophy Amazing Grace Dry Shampoo features fresh, florally notes of bergamot, muguet blossoms and musk done in a texturizing dry shampoo formula. It instantly helps to cleanse, volumize, and texturize the hair, leaving it touchably soft in between washes. Its fresh and clean scent gives that “freshly washed” smell without stripping your hair of its natural oils. It also helps to prolong the life of your colour, since you’re not over-washing it daily. You can effortlessly achieve a freshly washed look without harming the hair. It gives a nice boost of volume without the awful white caste that other dry shampoos leave behind. With only a few bursts, it transforms dry, dull, limp hair back into healthy, slightly mattified locks in seconds. It retails for $35. In the dead of winter, there’s nothing like a hot soak in the tub. 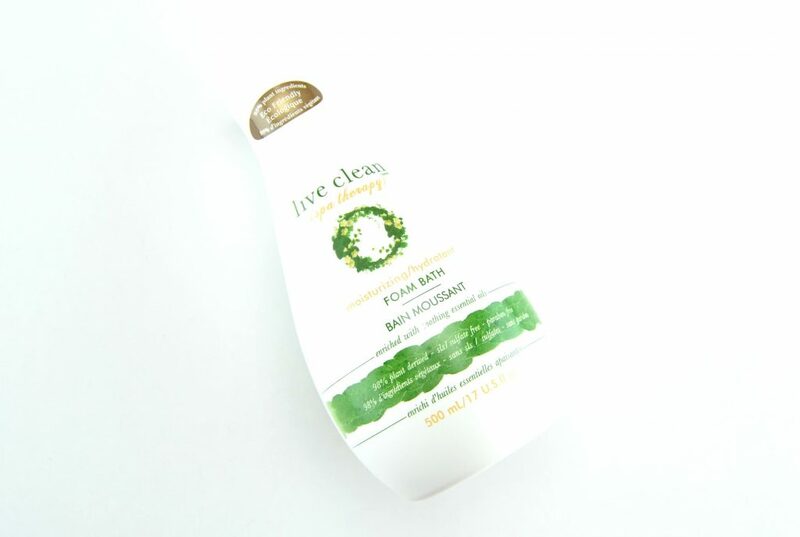 Live Clean Spa Therapy Moisturizing Bath Foam allows you to relax and drift into bliss thanks to its lush, rich and creamy, frothy bubbly formula. A few drops and you’ll instantly escape the winter blues and eliminate all your daily stress. Its unique blend of aromatic lemon and revitalizing ginger calms your sense, mind and soul. It’s enriched with jojoba oil and aloe vera to help keep skin moisturized, nourished, silky smooth and soft. Create a spa-like environment without the expensive spa prices. It retails for $9.99 for 500ml.